You can't beat a jazzy jumper during the festive season. At this time of year I'm all about fairisle and alpine prints and jumpers which feature an abundance of sequins; you can't beat a bit of sparkle at Christmas. I like to pair my winter woolies with a pair of skinny jeans, my ugg boots and a big winter coat, finishing the look with a bobble hat of course. Today I'm going to give you a round up of my personal favourite Christmas jumpers from Debenhams. They never fail to impress with their festive knitwear collection and this year is no exception. Well done Debenhams; I'm sure you'll all be on Santa's nice list this year. My personal favourite piece in their Christmas jumper collection is this Black 'Jingle ladies' slogan Christmas jumper. It features a super festive sequinned motif in the centre, embellished with your very own bells so you can jingle the night away. And you can't beat a good Christmas pun. This jumper retails at £32.00 but is currently on sale at £22.40. Grab yourself a festive bargain. Another one of their winter woolies which caught my eye was their Green intarsia robin pattern jumper by Yumi. This is a more traditional Christmas jumper which is right up my street. It's a fitted jumper which makes a nice change to your typically baggy festive knits and boasts a beautiful embroidered robin print. This jumper retails at £50.00 but is currently on sale half-price at £25.00. I have also fallen head over heels for their Grey all you want for christmas knit top by Joe Browns. This is a festive tunic, perfect if you are more of a dresses kind of girl but still want to embrace your inner Mrs Claus this holiday season. It features a traditionally festive alpine print and even has pockets to keep your hands toasty and warm in the winters cold. This product retails at £49.95. It wouldn't be right to not mention a Christmas jumper which features the man himself, would it? This is their Red santa claus jumper by Yumi in your traditional festive red. It's more of a novelty Christmas jumper than the others I've featured within this post, boasting a pom pom hat and his signature fluffy beard. This jumper retails at £45.00 but is currently on sale at £31.00. The final jumper which I'd put on my letter to Santa is this Grey sequin penguin Christmas jumper. It features a 'twirling penguin embellished with festive sequins'. I especially love the addition of the pom poms on his scarf and the fact he's wearing a little sparkly hat; how cute. This is very much a jumper you could wear all winter season. This jumper retails at £32.00 but is currently on sale for £22.40. 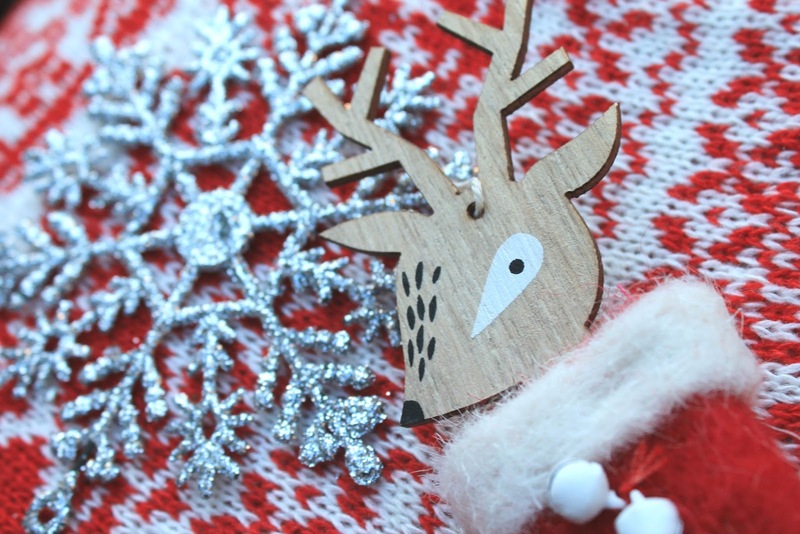 On the topic of winter woolies, don't forget that it is Christmas Jumper Day this coming Friday (15th December). So stick on your best festive knitwear and donate to Save The Children. Have you invested in a Christmas jumper this year? *Disclaimer: This post is a paid sponsored collaboration with Debenhams. All views and opinions shared on Yours, Chloe x are always honest and unbiased regardless of whether or not the content is sponsored. For further details please refer to my full disclaimer. I LOVE the “Jingle Ladies “ one! Great recommendations! Loving the “All the Jingle Ladies” and the penguin jumper! I love to wear Jumpers on Christmas Eve and Christmas Day itself - genuinely one of the things that gets me in the festive spirit! Awww these are sooo cute and festive!